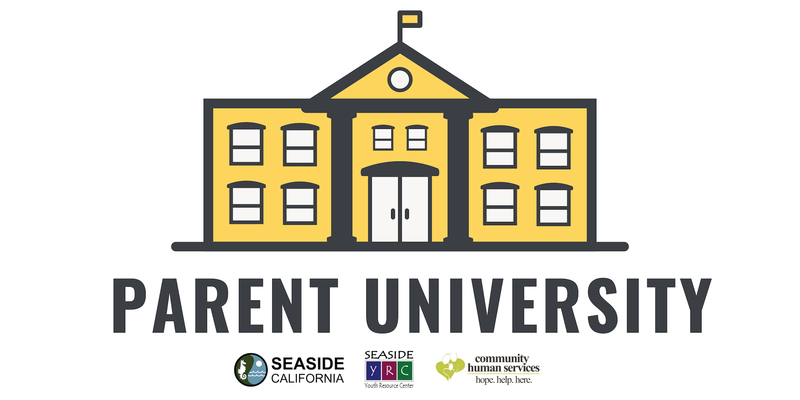 The City of Seaside, in collaboration with Community Human Services, is hosting the Third Annual Parent University. Join us for a free parenting conference on building healthy relationships with your kids and teens. Education, resources, and strategies will cover parenting topics such as discipline, parental stress management, CPR and First Aid, truancy, bullying, internet safety, and more!